Okay, I know we’re all busy. Right? I mean, we have obligations to our families, our spouses, our friends, our bosses, to our homes. Everyone, everything, calls our attention in some manner. However, the one thing I’ve found is that the people or things in life that are the most important in our lives, we will make time for them. I will be the first to admit that I am not the best at this. We ALL fall short, because after all, we’re all human. The one that puts you last: Of course, you can’t be everyone’s best friend. You’re not meant to be! However, when you’re consistently pushed aside and don’t feel included, then it can feel very isolating. Feeling like you’re the last one to get invited to something because they “just thought of you” or being the last one who is called when there is a get together hurts. Period. Once or twice, sure… but consistently? No thank you. The one that flakes out at the last minute: Okay, this one is an obvious one. I think everyone has had one of these friends, and usually people don’t keep them around for long. It’s the flaky friend. The one who says they are game for something, but then waits until the last minute to cancel. Or, they’re the first to say they want to hang out, but then never show up or RSVP to anything. This is a person who doesn’t value your time, or the time of your family. Once or twice, sure… but consistently? No thank you. The one who is always negative. Nothing kills your spirit more than being around a negative person. Everyone knows one. The one who picks out everything negative in their life and posts it on social media for everyone to feel sorry for them (and sugar coats it as “keeping it real”), or constantly talks about their kids or spouse in a negative manner. Or worse, when you try to confide in them, they make you feel worse about a situation instead of uplifting you and making you feel better. Once or twice, sure… but consistently? No thank you. The one who doesn’t try: There’s nothing worse then feeling like you’re the one always “trying” to make the friendship work and the other person just sits back and waits for you to contact them about getting together. Granted, grace is required when you’re a Mama. I know this because I’m a Mom too, and I don’t always have the time either. However, as stated in the beginning. You make time for the things that are important in your life. You can’t always expect the other friend to be the one to contact you about getting together. Once or twice, sure… but consistently? No thank you. The one who talks badly about everyone: There’s nothing worse then having a friend who talks terribly about everyone that you know. Then, pretends to be super sweet to their face. We’re talking straight outta high school here. Have I ever gossiped and said something about someone that casts them in a not-so-good light? Of course. However, those who perpetually put others down seem to have other deep seeded issues that really need attention. Once or twice, sure… but consistently? No thank you. The one who doesn’t align with your moral compass: Of course not everyone has to believe in or practice the same religious beliefs or moral values that I do. However, a common ground of similar values I feel is important to sustain a friendship. If someone goes off kilter it’s not the end of the world. Once or twice, sure… but consistently? No thank you. I know I’ve been guilty of being one of these “Bad” types of friends to quite a few of my friends over the years…. even my closest. Sometimes it’s out of laziness, sometimes it’s out of pride or loneliness. Sometimes it’s honestly because I don’t care for the person and I don’t make the effort. However, I really strive to be the following friend instead. The one who inspires: A friend that inspires you to be the best you that you can be is someone I like to keep around. One who inspires you to take the plunge when you’re anxious about an exciting opportunity, or one who simply inspires by their actions as a parent, wife, or friend. Those friends are keepers for sure. The one who’s always there for you: There’s nothing that quite lifts your spirits like someone who’s willing to meet you for coffee, or someone who sends you a quick text to ask if you’re okay, let them know you’re thinking of them, or tries to plan a get together. We sometimes feel lonely in our busy lives of a career or taking care of little ones, or we feel overwhelmed with it all. I’ve always strived to do this when I can because I know how it makes me feel when I’m having a hard day. Those friends are keepers for sure. The one who is a lot of fun: A friend that you can laugh with and have fun with, make fun of yourself, be yourself… those are great friends to keep around. Making the time to get to know someone allows the freedom to have fun and feel vulnerable with someone without feeling judgement. This takes someone who is willing to take the time and investment in the friendship. Those friends are keepers for sure. The one who understands: All friendships require a common thread to keep them together. Understanding the person’s life stage of motherhood, or having a career interest, similar hobbies, religious interest, etc. These help the friendship flourish so that each other can learn from one another or inspire one another. Without this common thread, it’s hard to sustain a good friendship unless you’re open to changing your interest to match theirs. It’s great to seek friends with a common life stage or interest. Those friends are keepers for sure. The one who loves unconditionally: We all have trials in our lives and ups and downs, and a true friend will see you through them, and love you without condition of your circumstance. We are all human and make mistakes, or have a hardship and the friend that decides to see you through it instead of throwing in the towel on your friendship shows someone who is genuine with their friendship. Those friends are keepers for sure. The one who invests in you: Good friendships take time. It takes someone who is willing to invest time in you, ask questions to get to know you, and serve you in time of need. Every good friendship had a moment where someone was giving of their time in order to hear about your life and take the time to get to know you. Those friends are keepers for sure. So why am I writing all of this? Friendships I feel are so important to the heath and well being of people. As a stay at home Mom, I feel like it is so important to engage in good friendships so that it can help me be the best person I can be. Does that mean that we have to be friends with everyone? Of course not. 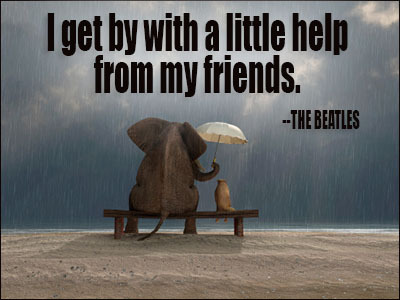 I do feel that good friendships help us relate to others and be serve others in time of need. They are so vital to our well being and we are designed with the intent of having good friendships. I know this is a goal of mine and I feel truly blessed and thankful for all the amazing friendships in my life and those who have served me. I know, this is what I strive for in my friendships, and pray that I am able to provide a good friendship to others, most importantly, be able to serve them in a time of need. Very useful advice within this post! It is the little changes that make the most important changes. Many thanks for sharing! Thanks, Danielle! You as well!